MeetNotes and BlueJeans combine video conferencing and meeting notes into a single seamless experience. Now you can launch a BlueJeans meeting from the MeetNotes Dashboard. Here are the steps to set up and use this integration. 1. Sign into your BlueJeans Account. 2. Schedule a Meeting in BlueJeans. Type in the meeting details. 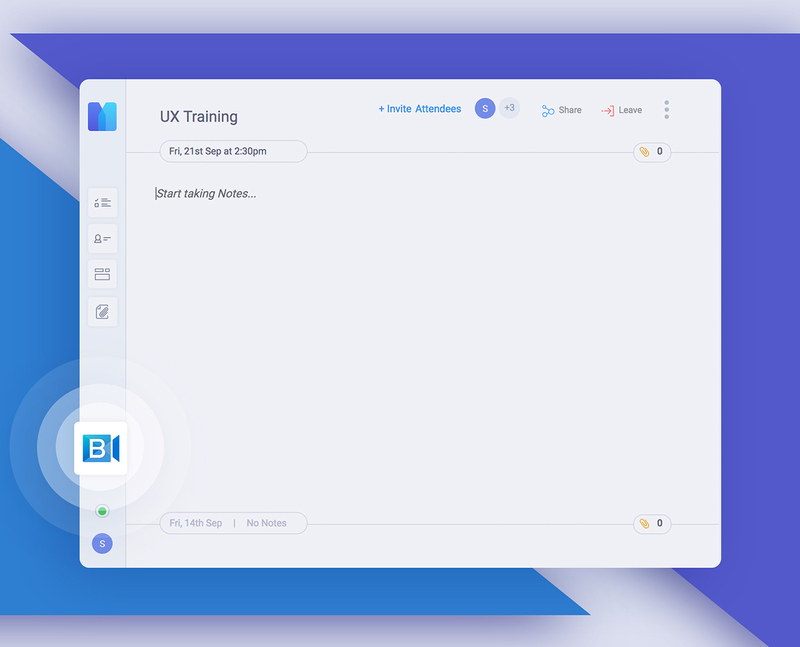 You can also create a meeting in your calendar and add bluejeans link in the description. MeetNotes can pick it up from there. 3. You will find the meeting link on your Google calendar. You can also see the meeting card on your MeetNotes Dashboard. 4. Click on the meeting card. You will now see a BlueJeans Launch button on the left menu of your editor. note-taking experience. And let us know how it worked.